For the Gazette/Jon Jaehnig The move to Hancock from their previous location on Sheldon Avenue in Houghton was prompted by visibility and accessibility issues, as the previous location was above another business. This post has been edited to correct the center’s hours. 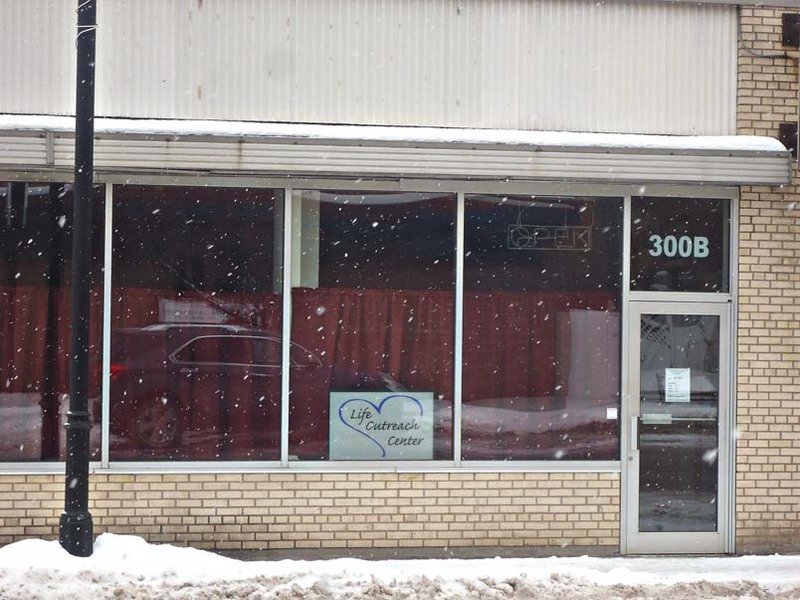 The Life Outreach Center, a community resource for new and expecting mothers, has recently moved from its previous location on Sheldon Avenue in Houghton to Quincy Street in Hancock. There were a number of reasons that the previous location was less than ideal and the organization had been planning on moving to a new location for many years, according to Jennifer Depuydt-Saari who is involved with the group. For one thing, it was located above another business. The previous location also had poorer visibility. Being above another business meant that it was difficult to find from street-level or notice from a moving vehicle. The new location is easier to see and to find. It is also easier for people to enter. At the new location, the organization will continue to offer the services that they have offered to the community since 1981. The most basic of these services is providing self-administered pregnancy tests. The organization also has a number of “advocates” who help women to make decisions regarding their pregnancy. One of the organization’s most popular programs is their “Earn-While-You-Learn” program for mothers or couples who are expecting children or who have young children. Participants are given access to resources and mentors and take part in a specialized curriculum learning how to care for their children and make healthy relationship choices. Participants are rewarded for their attendance with points that they can spend in the Life Outreach Center’s “Baby Store.” The baby store provides new and expecting parents with baby clothes and supplies, as well as other resources like gas cards for area gas stations. The Life Outreach center also offers support for those who have recently had an abortion and are having negative emotional or physical side effects. The organization will, however, work with expecting parents from a positive pregnancy test until well after they have carried to term. The Life Outreach Center also works with an adoption agency downstate for parents who do not want or cannot afford to support a child but who do not want to get an abortion. The Life Outreach Center first opened its doors at the new location in August after taking two weeks to move into the space. The organization is planning on formally introducing the new space to the public during an open house event scheduled to take place on Jan. 11, 2019, from 3-8 p.m.
“We wanted to wait until after the holidays,” said Depuydt-Saari. The open house will also be close to the opening of a Life Outreach Center satellite office in the St. Vincent DePaul building on Broad Street in L’Anse. “We saw that the need is great down there but some of the clients are not able to make it to Houghton,” said Depuydt-Saari. The Life Outreach Center is open at their new location at 300 Quincy Street, Suite B in Hancock. Walk-in hours are 11 a.m.-5 p.m. Mondays, noon-5 p.m. Wednesdays and noon-8 p.m. Thursdays, although it is also open by appointment. For more information or to schedule an appointment, call the Life Outreach Center at 482-8681. If you need services outside of hours, call the Life Outreach Center and wait for their answering machine to be connected to a crisis line. You can also email the Life Outreach Center at lifeoutreachhoughton@gmail.com or find them on Facebook at Life Outreach Center Houghton. The Life Outreach Center ed online at lifeoutreachhought.wix.com/pregnancy-services.